So, you’ve landed a new tenant for that vacant rental you’ve been showing. He paid the deposit, and you’re in the tenant background check phase of your due diligence process. Now you can take down the flier you posted at the local coffee shop, stop showing the unit and cancel your ads, right? Sure, if you’re betting that the deposit check won’t bounce, the tenant credit report will come back at an acceptable level and the tenant’s references will all check out. But smart landlords know that anything can happen between the lease application and the lease signing. Tenants change their minds every day. References don’t check out. And credit scores are more iffy than ever these days. Maybe showing the rental property to additional prospective tenants is the better way to go. Every landlord should have a back-up plan, just in case the shiny new tenant doesn’t prove to be 100% reliable. Besides, unless and until you have a signed lease, you don’t really have a new tenant. You’ll have prospects for your additional rental properties. 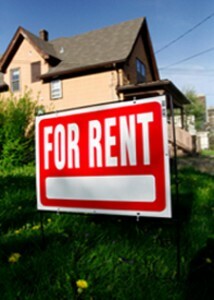 Murphy’s Law says that as soon as you stop marketing one rental property, another one will become vacant! You can refer your prospects to other landlords in your network. You might find a better-qualified tenant than the one you’re working with. Some landlords would say that “never” is when they stop marketing their rental properties. As in any profession, being proactive is better than being reactive in the rental property business. No matter how good a prospective tenant looks, make sure you have a back-up plan. Keep marketing and showing your rental unit and gather names for a waiting list—just in case the deal falls through. Landlords, Have You Tried Natural Pest Control? Pest control in rental properties is a continual issue in some areas—and not such a big deal in others. Unfortunately, mice (and rats) live almost everywhere, while scorpions, cockroaches and certain other multi-legged intruders are more bothersome to landlords in warmer climates. In years past, landlords often kept bugs under control with regular spraying of chemical pesticides. A greater awareness of the toxicity associated with these pest control treatments is prompting many rental property owners to revisit their standard control methods in favor of healthier alternatives for their tenants. 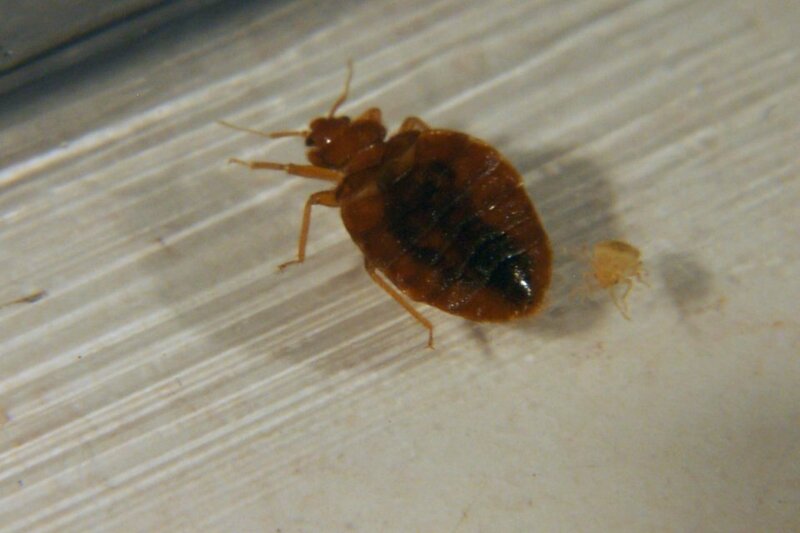 Fortunately, landlords now have more options when it comes to controlling cockroaches, ants, mice, rats, fleas, centipedes and even bed bugs in their rental properties. Cedar and other essential oils, along with enzymes are safe to use around pets, kids and food, and are used by increasing numbers of professional pest control companies. One example is the use of microscopic animals called nematodes to control termites. Nematodes are added to water and then poured into termite nests, where they kill either the queen or enough worker termites that the queen eventually starves. Check with your pest control company to see if they offer natural and non-toxic alternatives. Don’t forget that you can take control of certain pest problems without chemicals on your own. Peppermint oil is said to deter rats from entering an area, but it requires regular application. Keeping garbage secure and sealed tightly is another effective rat deterrent—so instruct tenants on proper garbage procedures. It’s never a good idea to put rat poison out where any other animal or child could ingest it! Boric acid, which is very low in toxicity to people and pets, is often used to control carpenter ants and cockroaches. However, it is not always advised for use around food, where cockroaches tend to be. The best cockroach prevention is cleanliness. Frequent vacuuming, eliminating standing water and leaks, and keeping grocery bags and boxes outside are all methods that can help keep cockroaches under control. If you’re trying to improve your green living score, take a look at one of the most toxic areas of managing rental properties: pest control. A little extra effort can keep your tenants safer and help them live healthier lives. Harry the landlord notices a broken window in Unit A during a routine maintenance visit to Unit B. He knocks on Unit A’s door to arrange a repair and is greeted by someone he’s never seen, much less approved to live there. The man asks Harry what he wants; Harry explains that he is the building owner. “Oh. I’m visiting,” the man replies. There is a fine line between a visitor and an unauthorized resident. Explaining the difference to your tenants can be tough—but it’s something a landlord must do to avoid the risk and potential problems that come when unscreened and unauthorized tenants live in your rental property. Luckily, making sure you’re legally covered is easy. 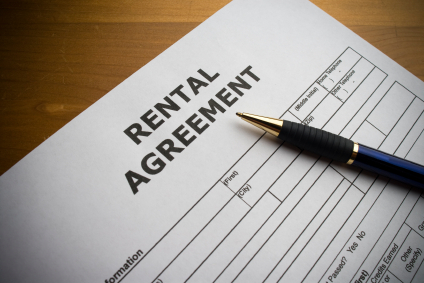 Just make sure your lease specifies what tenants can and cannot do when it comes to guests. Harry’s lease does prohibit unauthorized residents. When he brings this to Unit A’s attentions, the tenant replies that her friend is not a resident—he’s just visiting. Harry was still within his rights to notify the tenant in Unit A that her unauthorized guest had overstayed his welcome and that he would need to move or she would be in violation of her lease. Luckily, she didn’t push the issue and the visitor was soon gone. Don’t expose your tenants or your business to the risks of unscreened residents. Require your tenants to clear it with you before allowing anyone to move in. Require the new roommate to fill out a lease application and undergo tenant screening and a background check before they unpack their first box of belongings! One of the biggest challenges for landlords is maintaining their rental properties. Failure to do so can lead to further damage, unhappy tenants and lower property values. Some landlords prefer to do all their own maintenance; others are not capable or simply don’t have the time to perform maintenance. Still others make the attempt to do it themselves, only to realize they’re in over their heads. If you’re thinking about hiring a contractor or handyman service to take care of routine maintenance and emergency repairs on your rental properties, here are a few tips. Do you need occasional help or a full-time maintenance person? Would you rather hire expert plumbers, electricians and carpenters each time you need specialty work? Knowing what you need is the first step. A long-term contract for routine maintenance plus regular repairs might be more economical than calling an expensive contractor for a smaller job. And don’t forget that availability is sometimes a problem with busy general contractors. A regular maintenance contract means priority when you have an emergency. Once you determine your rental property maintenance needs, ask for referrals.When working with an contractor, it’s sometimes difficult to know whether you’re getting a good deal and getting good work—or being ripped off. Your local builder and remodeler association is the perfect place to start your research. Also ask other rental property owners in your network. You might hear an earful about whom to avoid—and who is most trustworthy. Once you’ve narrowed your choices down, it’s a good idea to conduct a “job interview” with each one. Even though they will likely be a subcontractor, and not an employee, you’ll still need to be sure that there is a good rapport and mutual respect between you. If you’ve found the right person, you might be in partnership for a long time—and you want to make sure you can get along. Conducting due diligence on your potential handyman is another important to-do item. Check with your state licensing board to ensure your prospective contractor holds proper business and contracting licenses, and is bonded and insured. Individuals without proper licenses are best avoided. And don’t rule out conducting a background check. Anyone with access to your rental property puts you and your tenants at risk. Mitigate that risk by knowing exactly whom you are hiring. Be sure to ask for and check references before you make your final decision. When is a Snake a Companion Animal? Most landlords and property managers know that whether or not pets are allowed in their rental properties, exceptions must be made to accommodate companion and service animals for the disabled, under the Americans with Disabilities Act (ADA). But what functions as a service animal for a tenant might not look like a service animal to you. A landlord might wonder how a bird or a snake could be used as a service animal. After all, it’s not as though they help the tenant cross the street. Rental property owners and managers must remember that not all disabilities can be seen. For example, people who suffer seizures sometimes use boa constrictors to warn them of a coming seizure. 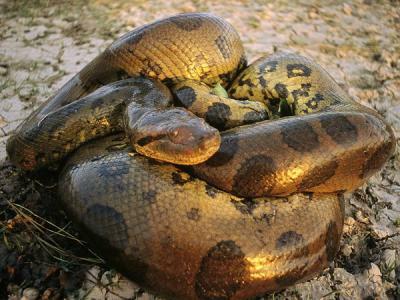 The snakes gently squeeze their owners when they feel a seizure coming on, so the person can take medication or remove him or herself from a stressful setting. Cats and ferrets are sometimes used by individuals who experience anxiety. The animals might serve to calm them down when during air or water travel. And a parakeet can help a person with severe depression by acting as the focus of the person’s care and attention. In this way, the bird improves the person’s daily functioning—which is the definition of a companion animal. The ADA rule covering companion animals requires tenants to obtain certification by a medical professional that the animal is necessary to relieve the disability. If a tenant has such an order, then the rental property owner or manager must make reasonable accommodations for the animal. And remember, service animals are not pets. The U.S. Department of Justice is currently trying to define service animals. Last year, it received thousands of comments when it announced plans to exclude from the definition wild animals and service animals whose sole function is to provide emotional support, comfort, therapy, and companionship, and to promote emotional well-being. We will keep you posted on what the DOJ decides! Just when a landlord thinks that business is quiet—or even under control—something unexpected happens. Like you receive notice that a tenant is moving out. If it’s a great tenant, you might feel a pang of regret; if not, perhaps you’ll hear a sigh of relief. Either way, the minute you receive that notice is when the tenant transition begins. Most leases require a 30- or 60-day notice when either party is intending to not renew. It’s a good idea to regularly review your lease expiration dates so you’re not surprised by a tenant’s notice. If you see one that will soon expire, go ahead and check in with your tenants to see if they’re planning on staying or leaving. The more time you have to prepare, the better. Of course, you’ll want to begin the search for a qualified new tenant immediately. Start by advertising in all your usual places, and put signs up in the neighborhood and on the property. Let the vacating tenant know you’ll be showing the rental unit to prospective new tenants. Try to be respectful of their time and privacy; but do insist on your rights to show the unit if they prove to be difficult about scheduling. You might want to make an appointment with your tenant to take a quick look through the unit to determine any work that needs to be done after they move out. Be sure to explain that this visit is NOT a move-out inspection, which will be performed after the unit is empty. This is just a helpful way to plan any painting, repairs and upgrades that will need to be completed before the next tenant moves in. Schedule the move-out inspection for moving day. Let your tenant know they’ll need time to move their belongings and clean the unit before you arrive. Remind them to pull out their move-in/move-out checklist to see what items you’ll be inspecting. Bring your copy of this document with you when you inspect. Once the rental unit is empty, you should be ready to immediately begin painting, repairs, replacing fixtures or floor tiles, and any pest treatment or carpet cleaning that is needed. Continue to show the property while repairs and painting are taking place. Remind prospective tenants that the unit will be completely ready for move-in day. Have photos available to show. Showing Your Vacant Rental, But No Lease Yet? Sometimes landlords simply can’t fill a vacancy, despite market data that shows vacancies are low and would-be renters are finding it hard to find a place to live. Have you ever had a vacancy that should have been filled, but after many showings you have no bites? Price: Have you checked the rents in your area lately? Perhaps yours is just too high for the number of bedrooms, bathrooms and amenities your rental property offers. Do your homework and adjust the rent if you have to. Try rentometer.com to compare your rent to others in your city—and even in your neighborhood. Location: Is your rental property too far from public transportation and shopping? While there’s not much you can do to make a poor location better, you can promote other advantages of the location. Is there a park or walking and biking trail nearby? Is it a walkable neighborhood? What about a neighborhood market? Think about other factors you can educate potential tenants about. What would make you want to live there? And don’t expect the location to sell itself—that’s your job! Utilities: Most tenants want cable and high-speed internet. Wireless is even better. If you don’t offer the latest and greatest technology, you could be losing tenants for that reason alone. Inquire with your cable and internet service providers to see what they can do to upgrade your property and bring it into the 21st century! Looks: Take a hard view at how your rental looks from the outside and the inside. Are there dead shrubs outside and broken window blinds inside? Does it need a paint job? Do the fixtures and lighting need an upgrade? If it’s been awhile since you spruced up the place, it could be costing you money as potential tenants turn it down. Finally, when you’re showing the unit, ask potential tenants if they can picture themselves living there. It doesn’t hurt to find out what they’re thinking, and you’ll learn very valuable information. If they offer an objection, find a way to overcome it—and fill that vacancy!